Even more than Britain, the field of post 1950 specialist French sports cars is dominated by certain characters whose names are stamped on a variety of low volume makes. In this case it is the brothers Chappe; Abel, Albert and Louis. These three make up the ‘C’ of Chappe et Gessalin, or CG. The ‘G’ comes from Jean Gessalin. Jean’s uncle, Amedeo was actually married to the sister of the Chappe brothers, making it a family affair. However, prior to forming CG, the Chappe brothers had their own company, Body Chappe, which they formed around 1930. Gessalin Bodyworks was also a 1930’s company, but the two came together to form CG in 1946 after Jean had taken over the company following his uncle’s death. 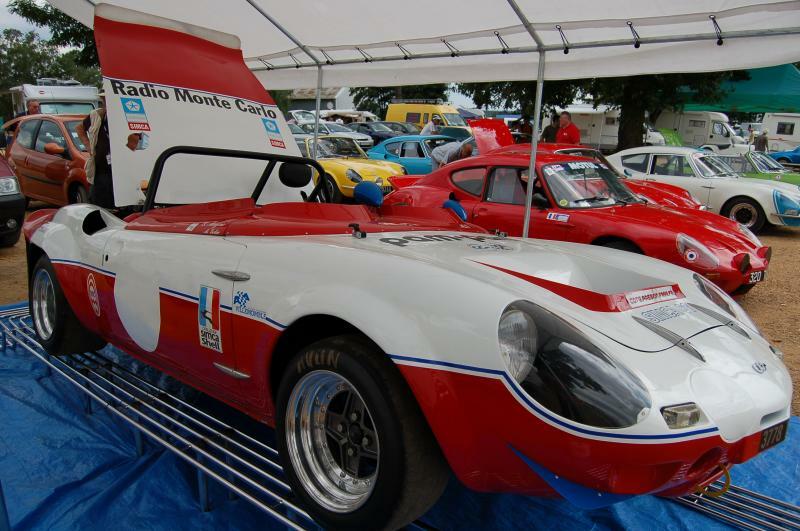 CG also worked for Carlos Alberto, better known as Charles Pozzi, who ran a racing team under that banner. He had number of Delahaye 135, 175 and Talbot-Lago T26’s in their various road going, sports racing and racing forms; CG did aluminium body and other prep works as requested. A complete car CG built was the Bosvin-Michel-Special, designed by Camille Bosvin. Their first CG was the Spider 1000 with 2+2 layout. It used the Simca type A1000 as its source of running gear mated to a backbone chassis. At the time Lotus, Alpine and Matra amongst many others had used backbone chassis. The Lotus was a folded sheet metal design, whereas the French cars tended to use a large round, oval or box section tube down the centre, and combine it with a perimeter frame and integral floor. 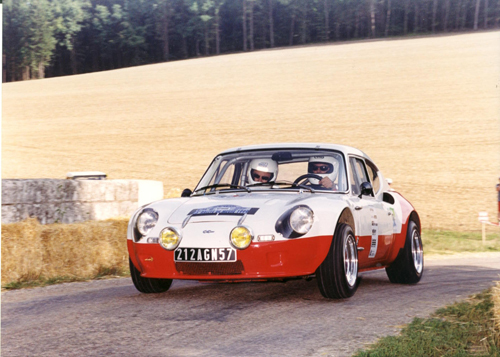 The CG’s chassis was of this style, with a deep ‘oval’ backbone connecting the Simca front suspension/ steering subframe with its rear semi-trailing arm and transaxle mounting crossmember. To that were added deep RHS side and front members with a swaged sheet metal floor. In 1969 CG released the next model range, the CG 1200 S. This was based on the later Simca 1200 S Coupe, first released in June 1967, which itself used as its basis the latest Simca 1000s that were known internally as type B1200. A special car evolved out of this, of which 20 were to be built but in the end 18 were made. They were called the CG Lite “548”, in reference to their light 548kg all-up weight. To achieve this reduction (112kg), a number of regimes were incorporated. These included rethinking some chassis details without affecting strength such as recessing the lateral beams into the main chassis, re-structuring some of the lower-chassis details, replacing the steel floor with light plate aluminium and solid mounting the engine/ transaxle to the rear crossmember which allowed the rear chassis structure to be removed and replaced by just two ties. In 1972, CG introduced their new CG 1300. It was to be the last of the essential CG range. 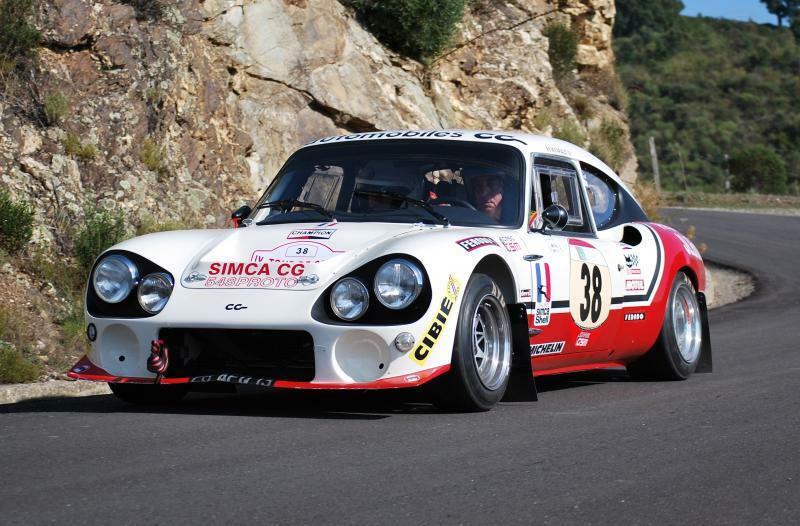 CG’s final model was known as the Simca-CG MC which chronologically overlapped both the CG 1200 S and 1300 models. These cars had a central tub and space frame chassis with mid mounted 2156cc Chrysler 180 engine. Under Chrysler’s care, the engine started off with 175bhp@6800rpm and 163 ft-lb@4200rpm, and then 195@6800 with the same torque. For the 1972 season Chrysler handed the engines over to engine developers JRD, who started to radically transform the motor into both a more powerful and reliable unit; but this was not immediate. Power figures rose to 215bp@7200rpm. But there were still some reliability issues… read the complete article via the above link.